When I started planning a cross-country road trip with my British wife, Emma, Mesa Verde tours weren’t originally part of our itinerary. We spent most of the last decade in Central America, admiring the great Mayan ruins there. But I never really stopped to consider the rich indigenous history of my own country, the United States. One of the great tragedies of US history is how much of it has been swept under the rug. Before colonization and expansion, our nation was replete with natives far more in respectful of its natural wonders. Unfortunately those people were conquered, and their stories largely forgotten. Before the Europeans arrived, the Native Americans built some remarkable structures. We prioritized seeing some of them during our recent road trip. 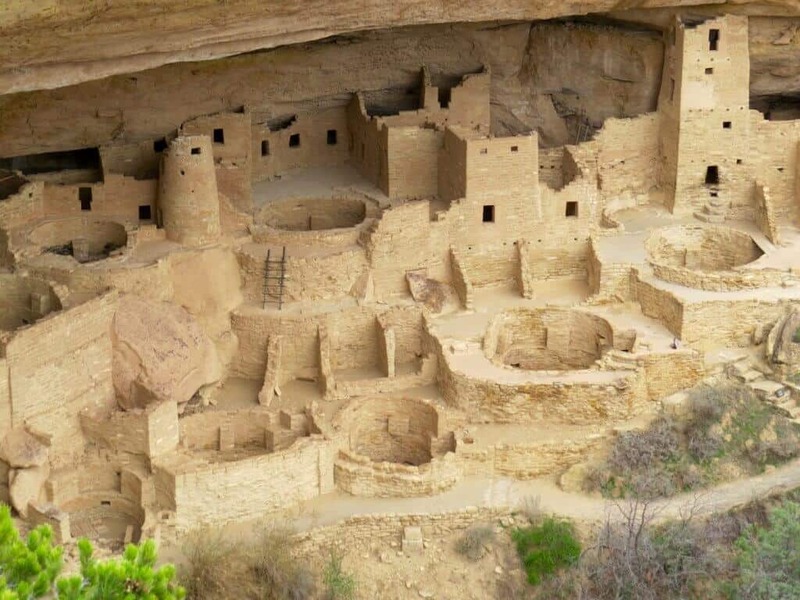 Do-it-yourself Mesa Verde tours proved a great way to see the cliff dwellings of Mesa Verde National Park, providing incredible insights into the ancient history of the indigenous people of the United States. Much like the Maya, the Anasazi abandoned their settlements in the late 13th century after centuries of living seemingly fruitful lives. 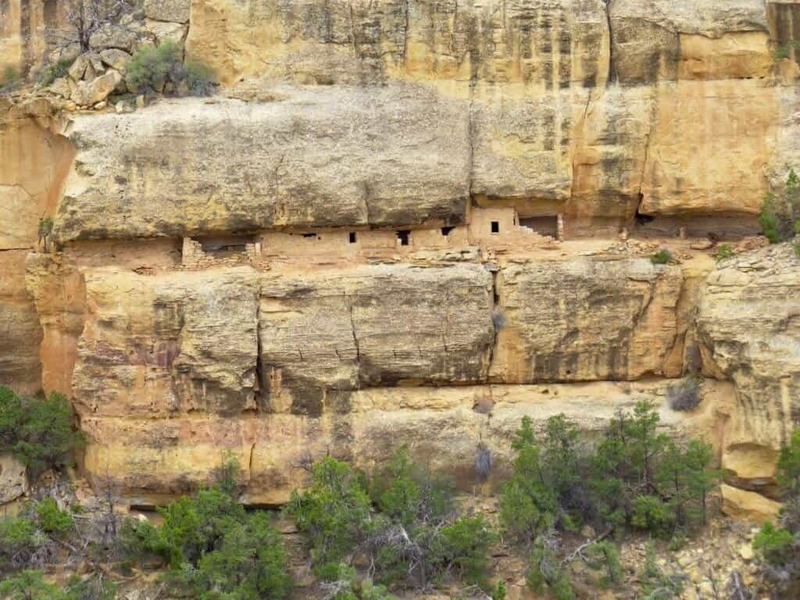 What they built before then— much of which you can see on Mesa Verde tours today— is incredible. Even more incredible is the fact Mesa Verde isn’t as well-known internationally as Tikal, Xunantunich, Machu Picchu, or Chichen Itza. 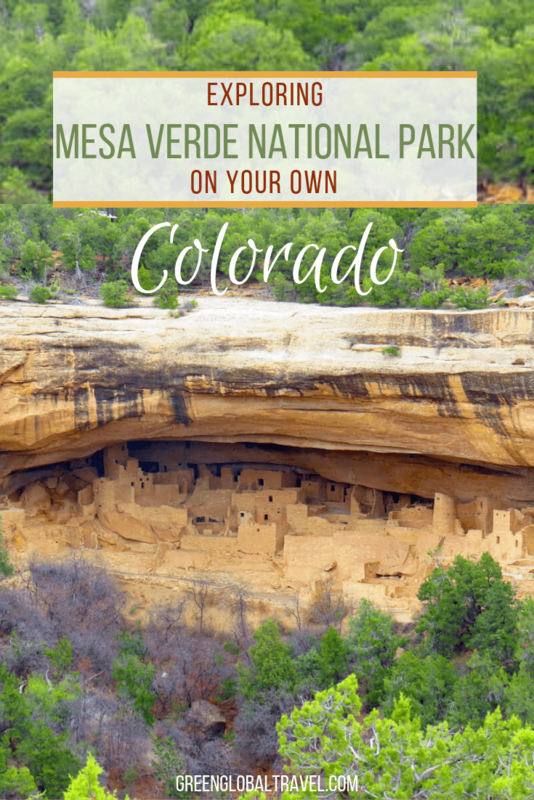 Located in the southwest corner of Colorado, Mesa Verde National Park is home to many of the area’s most impressive sites. 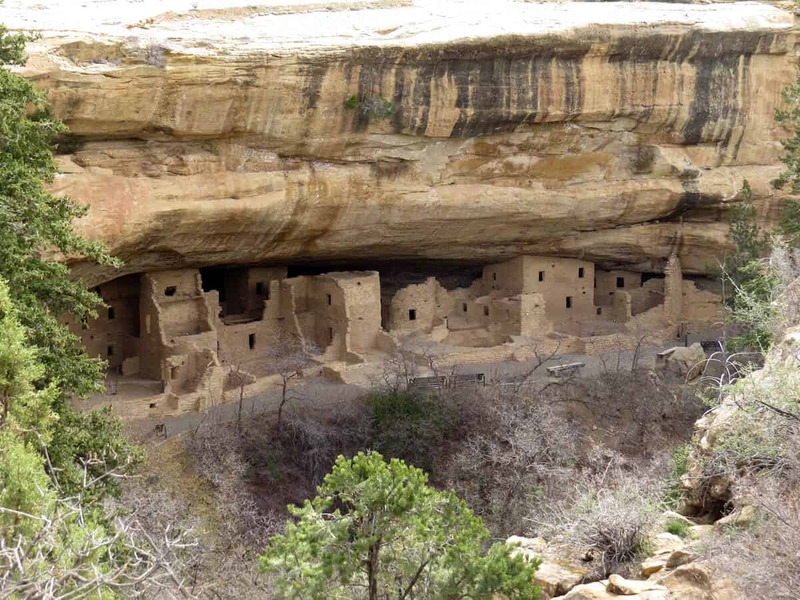 Mesa Verde is home to more than 600 cliff dwellings and 4,000 archeological sites, some dating as far back as 550 AD. And that doesn’t even get into the canyons, panoramas, and rugged nature that abounds. Our route to Mesa Verde started in California and led us through Nevada, up to Salt Lake City, and eventually through the Moab desert and Arches National Park. Each of these is an intriguing adventure in its own right. But after I realized that I’d never given the ancient indigenous people of this country their due, the cliff dwellings became the highlight of our road trip. Unfortunately, I’d read that Mesa Verde National Park shuts down some areas during winter and early spring. It was March, so we originally planned to visit another park in New Mexico. Luckily, we were driving along US 160, the highway from which most Mesa Verde tours begin. As we neared the park, signs said that it was open, so we pulled off to check things out. Camping wasn’t available, nor were guided Mesa Verde tours (which should be booked in advance) operating. 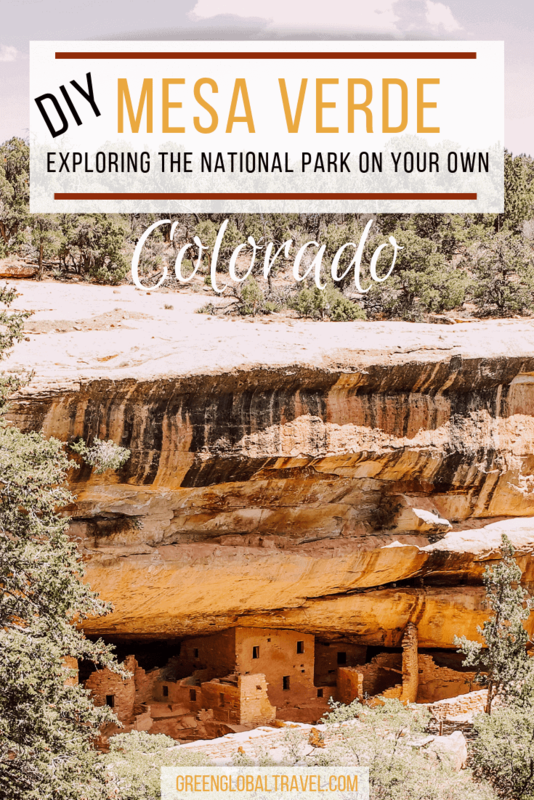 But the park—including most sites, the museum, and even some cliff dwellings— was open to visitors. This was it. The dream coming true! The drive to Mesa Verde National Park headquarters from the entrance involves nearly an hour of climbing on winding mountain roads with sheer drops. Up top, the humble Chapin Mesa Archeological Museum offered a notable collection of artifacts. Then we wandered out back to discover our first cliff dwelling, Spruce Tree House, which is the park’s third largest. From there we drove the astounding Mesa Top Loop, a 6-mile stretch of that passes sites such as the Square Tower House, Cliff Palace, and Sun Temple. Each of these offers paved trails and either excavations or scenic vistas. Apart from the highlighted names, the reality is that ancient relics are all over the place. 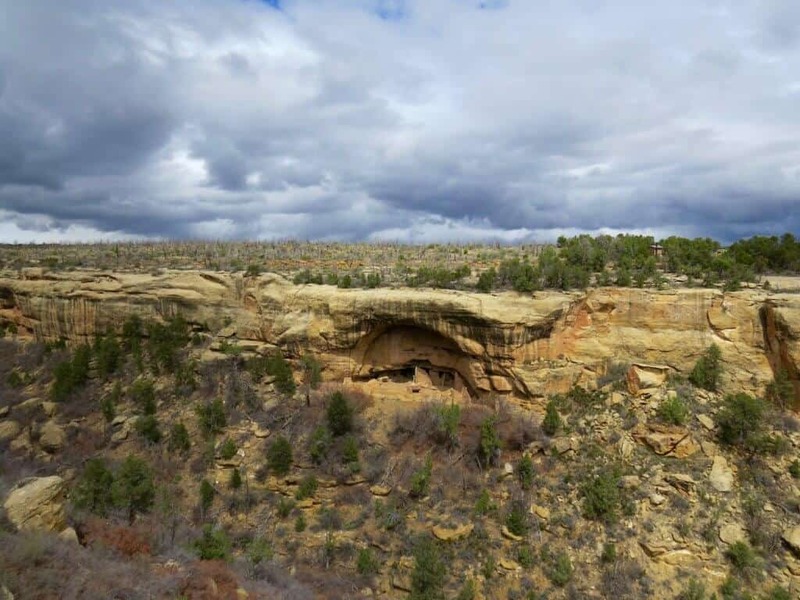 Mesa Verde offers plenty of hiking opportunities, and its cliff dwellings are seemingly hidden amongst nearly every canyon wall. Each cliff dwelling is unique, as they were created with respect to the crevice in which they were located. 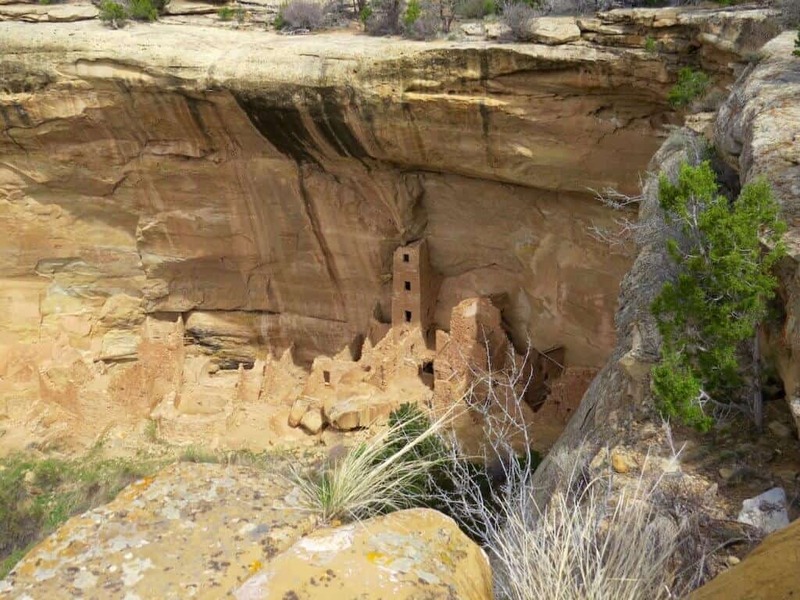 But the showstopper for Mesa Verde tours is undisputedly the Cliff Palace. This iconic landmark consists of over 150 rooms and housed an estimated 100 people. Guided tours are available during the summer. But there are two exceptional lookout points open all year-round– one from the opposite canyon wall and the other from a cliff just above the Cliff Palace. Mesa Verde National Park was established by Teddy Roosevelt in 1906 in an effort to “preserve the works of man.” That year, a mere 27 people made the trip to Mesa Verde. A century later, those numbers have moved to roughly half a million annual visitors. In 1978, the park was declared UNESCO World Heritage Site. Due to the century-plus of protected status, Mesa Verde is home to a diverse array of plant and animal species. This includes some 200 different birds, 16 reptiles, and 74 mammals that have all but vanished in the surrounding region. Another important aspect of the park is the work being down to preserve the Hopi, descendants of the Ancestral Pueblo people. America’s Best Idea Program, Footprints of the Ancestors, and Northern Arizona University collaborated with elders, archaeologists, educators, and students to produce a film on preserving Hopi culture. This surviving population is important, both for their own rich cultural traditions and as links to the mysterious Puebloan history. 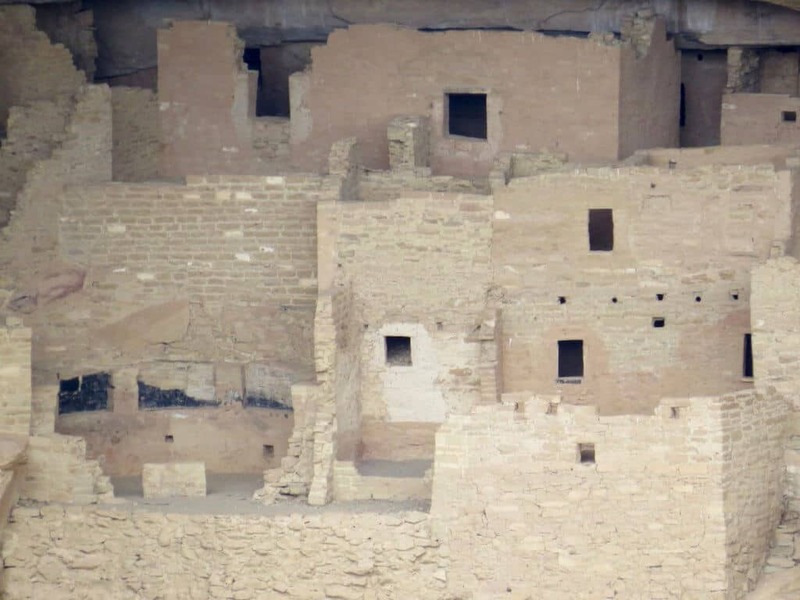 Various contributing institutions have long been dedicated to keeping Mesa Verde’s many archaeological sites in good condition. The sites were all abandoned by 1300 and rediscovered in 1888. By then, weather had done some damage. As tourism has increased, the process has only accelerated, demanding greater efforts to look after this unique slice of antiquity. Due to the time of year, spending a night in Mesa Verde unfortunately was not in the cards for us. But the Morefield Campground opens with limited services in mid-April, and with full services by the end of that month. Hiking trails are abundant across the park, including Petroglyph Point Trail and Wetherill Mesa, which pass by many of the more impressive cliff dwellings. 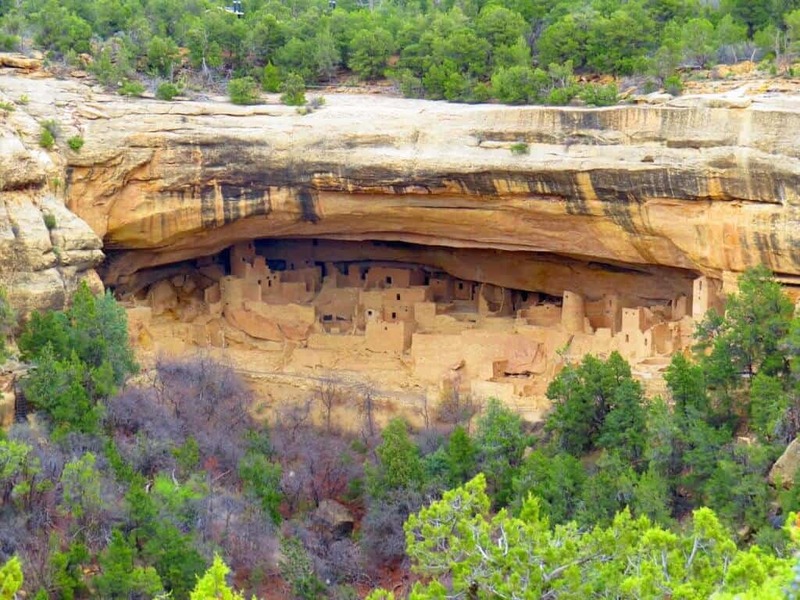 If you prefer not to plan DIY Mesa Verde tours, there are numerous guided tours available. Some allow visitors an opportunity to climb around specific dwellings, such as the renowned Balcony House. However, these tours have limited space and require reservations in peak times. There are also several visitor centers, which warrant hours of exploration in their own right. Staying at the park does require a little self-awareness. Altitudes range from a7,000 feet up to over 8,500 feet. Consequently, the air is very thin, and it’s also very dry. The ability to survive these sorts of challenging conditions is part of what makes the Ancestral Pueblo people so remarkable. Some experts suggest it could possibly have been the ultimate reason for their departure. These days, it can make for some dynamic weather changes in mere minutes! Emma and I departed the Mesa Top Loop Road in the middle of a partly sunny day that had knocked most of the chill out of the air. But midway along our route out of the park, the sky dropped a hammering hailstorm. Since we were winding around curvy mountain roads with sheer edges, the weather added a much more hair-raising aspect to our adventure. Not 15 minutes outside Mesa Verde National Park, the storm turned to a snowfall that ushered us all the way to Santa Fe, New Mexico. We’d found a campground that was open there online, but we didn’t even bother stopping. We were exhausted from hours of driving, but thankful not to be in the wilds of northern New Mexico. It’s one thing to admire an ancient culture, but another thing altogether to get a taste of what it must have been like to survive in it. The hail and snow that greeted the end of our Mesa Verde tour left little doubt as to why the Anasazi cliff dwellings were so snug.